The musical career of Hans-Dieter Buschau began in Lower Saxony as a member of a marching band in which he played the flute and trumpet. After taking over as a musical director, the band became a German champion. In addition to his career as a teacher at a high school, Hans-Dieter Buschau is active as instructor of music and show music groups of all types and styles that have won both at the district, state, and German championship levels. In 1987 he was a juror in Lower Saxony Music Association (NMV) for concert, marching and show competitions. 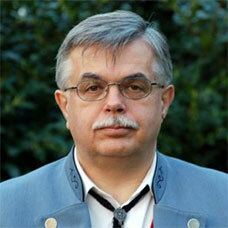 He was also adjudicator for Drum Corps Germany (DCG). He was music director for Country Music in Motion in Lower Saxony Music Association in 2005. He conducts and organizes training courses, as well as being responsible for the general supervision of Music on the Move and maintaining international contacts within the WAMSB at the federal level. In 2007 he was judge of the WAMSB. His duties there were inter alia the translation to the worldwide competition rules, years of operations as a judge of the Rasteder Music Festival, and the 2010 World Championships in Potsdam and 2011 in Kuala Lumpur.